Spain has always been the most favored States by tourists from around the world; not coincidentally is the second country in the world for the number of tourists after France. The landscaped sites, architectural treasures, the beautiful cities and the renowned sports facilities make it definitely a coveted destination for everyone who loves absolute, the itinerant manner designed holiday. A trump card in Spain is surely represented by its beaches, especially those of Catalonia, the coast of Valencia, Murcia, Andalusia, Galicia, the Balearic Islands and the Canary Islands. With 43 sites inscribed on the list of World Heritage sites considered, this wonderful country is able to offer a myriad of opportunities to make a holiday at the sea of all respect. We try to learn more about some aspects of Spain, which will allow you to plan your trip in the best way: see, for example, how to reach it, what is its climate, as are its tourist facilities and, above all, what are the beaches Spain must visit. Spain is well connected with European capitals and is easily accessible by all means of transport available: car, train, ship and plane. As for the car, the highway network is in perfect condition: the highway runs along the coast and then allows you to reach most of the beach resorts. The train Salvador Dalí connects Milan to Barcelona, from which depart other railway combinations to reach the various coastal towns. Barcelona is also the main destination of the ships that sail from Italy from the ports of Genoa, Civitavecchia and Livorno. The plane, finally, is the means of transport that reaches the largest number of destinations: the airports of Barcelona, Valencia, Almeria, Malaga, Alicante, Palma de Mallorca and Ibiza offer excellent connections to the main Spanish tourist destinations. Airlines that travel the Spanish routes are so many and perform frequently even low cost travel. For those who enjoy the warm sun and clear sea, the Mediterranean coast of Spain and its islands are certainly an ideal destination. In these areas the summer is hot and sunny with pleasant breezes that softened the sun’s heat. As for the coastal resorts, the best time to visit is from June to late September, when average temperatures vary between 21 ° and 26 ° C. in the Balearic Islands, on the other hand, from June to October you can enjoy an average temperature around 27 ° C and the sun is virtually guaranteed. Finally, the Canary Islands possess a unique microclimate that allows you to take advantage of good temperature that Stoops never under 21 ° C, with peaks of 27 ° C during July and August. Each Spanish Region manages the tourism sector, for this reason, laws and regulations relating to the classification of hotels independently may differ according to the location where we are. Spain still has some of the best hotels and resorts in the world; their classification varies from 1 to 5 stars according to the features and services offered. Reflecting the diversity of offers, we recommend to compare prices of hotels to choose the most appropriate structure to best meet your requirements. We should always remember to book a lot of advance allows you to take advantage of the deals, for travel in Spain, there are so many. Spain has a varied seaside landscape: the beaches of Catalonia with the famous Costa Brava, the sandy expanses of Valencia, home to major sporting events, the cliffs of Murcia, wild stretches of the Costa del Sol in Andalusia, landscapes Galicia, the legendary beaches of the Balearics and the Canaries stunning scenery, are the best guarantee to spend a holiday in a unique manner. The Costa Brava is a stretch of about 160 kilometers that stretches from Roses, close to the French coast, to Blanes, north of Barcelona. Among his most beautiful beaches we can mention Estreta Cala Palamos and Cala Morisca in Lloret de Mar who, with their sandy beaches, do not remain unnoticed. 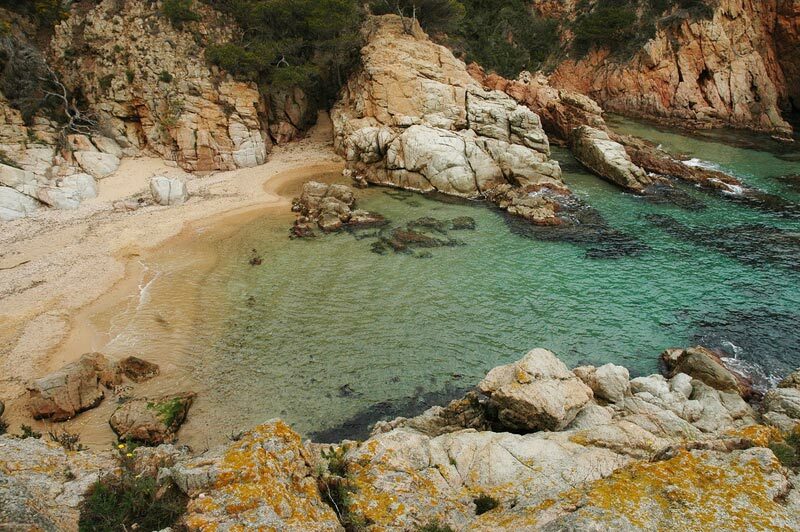 Located north of Palamós, in Baix Empordà just below the French border, Cala Estreta is a charming little wild and secluded bay, composed of soft golden sand. This beautiful beach is formed by the union of two beaches which have behind them a typical Mediterranean vegetation. The sea, turquoise and transparent, has a shallow and sandy bottom with the exception of the area where the coasts are combined, characterized, however, by the stones that come out of the water. The beach is just down a few steps and has no services. Cala Estreta is a place where silence reigns. 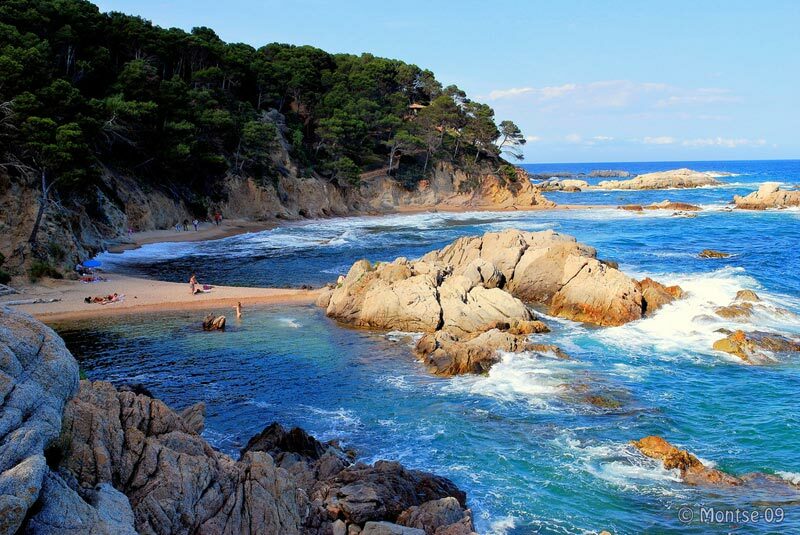 It situated a few kilometers from Lloret de Mar, Cala Morisca is a small beautiful beach ideal for trekking lovers. This little corner of paradise is, in fact, one and only accessible along the GR92 path for about an hour. The path winds through a dense pine forest and down through a gorge making quite hard descent, but in the end, the spectacle that unfolds before all’ardito visitor is something unique: an almost virgin beach with a sea postcard in which is an absolute must swim with a mask and snorkel. If there are two things that characterize the region of Comunidad Valenciana are the sun and water sports. It is, in fact, on the beaches and in the sea of this region which, because of its particular climate, are held major competitions related to water sports of Spain. Among the most beautiful beaches include Las Arenas in Valencia and Playa de Canet d’En Berenguer in the homonymous tourist resort. 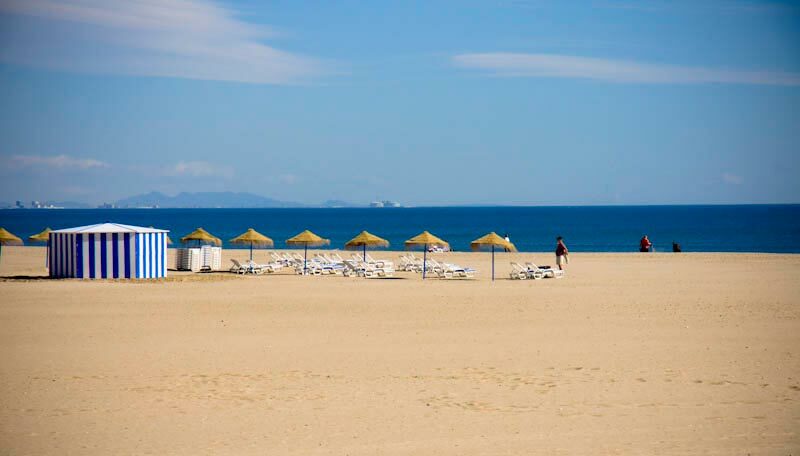 Together with La Malvarrosa, Las Arenas is one of the two most famous beaches of Valencia. It consists of a golden sand behind several tourist facilities. It is served by many transportation lines that connect it to the city and offers a lively daytime activities, but also an intense nightlife with many clubs in the area. This beautiful beach is located near the town of Sagunto and has a stretch of beach along 1,250 meters consists of very fine sand. Equipped with all bathing services, including also a tourist information office and children’s playgrounds, it is a very popular beach also by the residents due to its very impressive extension. Complete landscape frame a magnificent waterfront of about 1 km that lets you make beautiful walks. 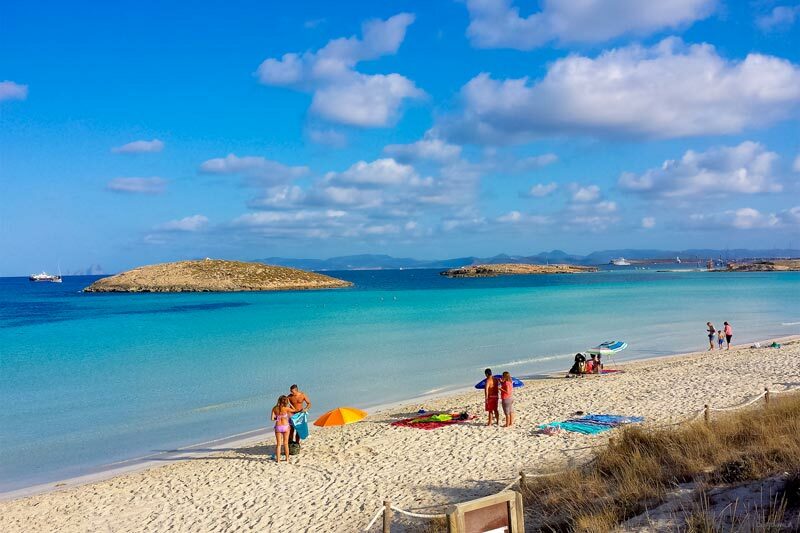 The Murcia region, which stretches from Cabo de Palos to Águilas, is particularly suitable for families and lovers of water sports such as swimming, surfing, diving, sailing, water skiing and canoeing, practiced throughout its coastline. In this region, where the sun shines for more than 3000 hours per year, there are spectacular beaches such as Playa de La Mota in San Pedro del Pinatar or the Calblanque beach in Cartagena. 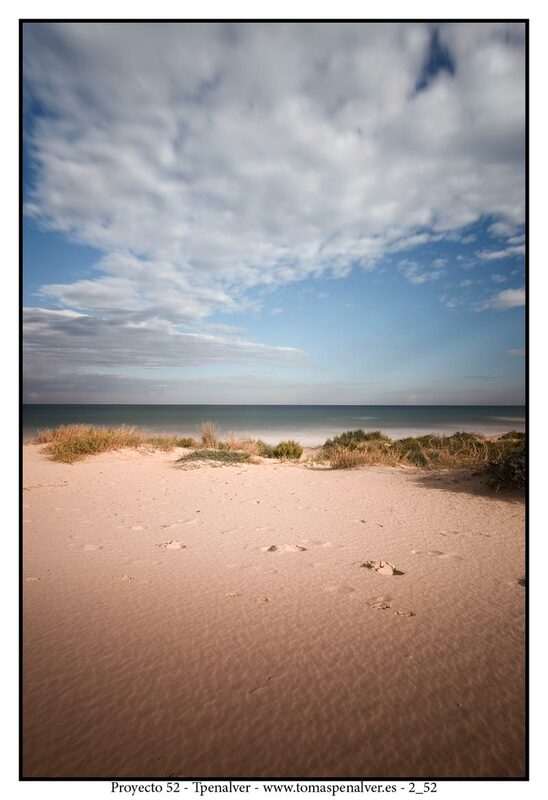 The beautiful beach of Playa de La Mota is located within the Regional Park Salinas y Arenales and is 2.7 km long well. It is located in a unique setting: behind him, in fact, are the large tanks in which to make mud baths ideal for treating various diseases such as osteoarthritis, arthritis and bone fractures. 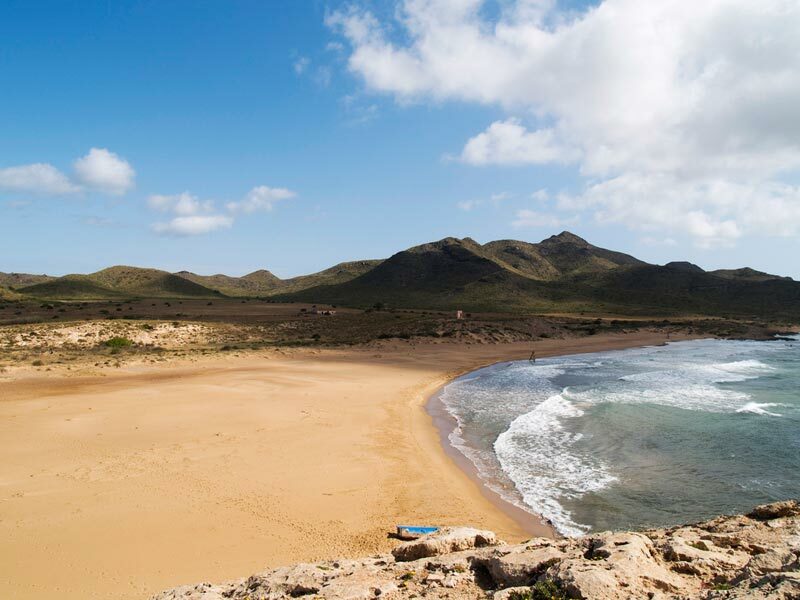 This beach is located in one of the most important natural areas of the whole of the Murcia area, Calblanque Park. Also known as Playa Blanca, surprising because of its unspoilt and wild landscape, devoid of any beach hotel and behind a thick forest and a mountain which, together, contribute to offer an excellent shelter to the whole bay. It consists of a reddish sand, fine as flour, also has small hidden coves, ideal to spend some days with privacy and relaxation. Among the 17 autonomous communities that make up Spain, Andalusia is the most characteristic, the hottest and most passionate. It is in this land, situated on the border with Portugal, which are born the most famous Spanish traditions: the tapas, bullfighting and flamenco, to name a few … The Costa del Sol stretches for about 150 kilometers and corresponds to the coast the province of Málaga. Among its most famous beaches are Playa Los Boliches in Fuengirola and Playa de Maro Nerja. Playa Los Boliches has the advantage of being located very close to the train stop while remaining connected so quickly with Málaga. Sheltered from the wind by the presence of many breakwaters, is a very clean beach which for some years has achieved the distinction of Blue Flag. Its coastline is characterized by the presence of bars, restaurants and beach clubs offering any type of leisure to tourists also in the night hours. 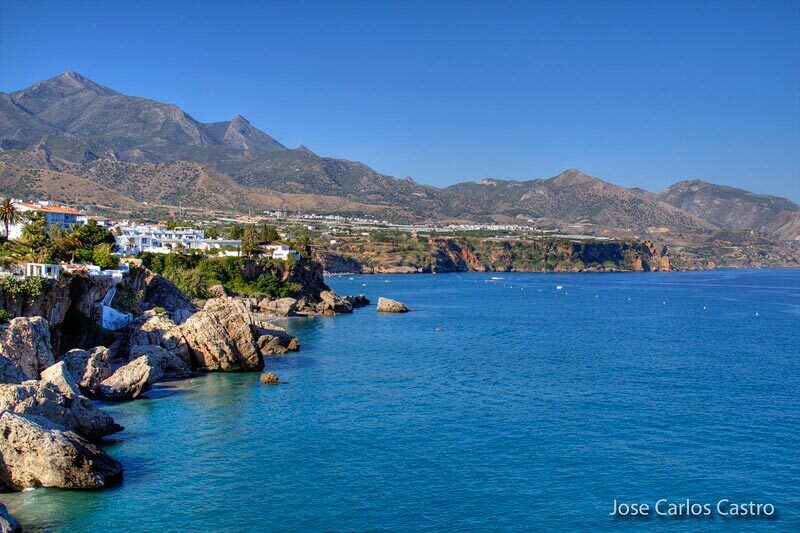 Situated a few kilometers from Nerja, Playa de Maro is considered one of the prettiest beaches. Its beach has a mix of pebbles and gravel and is surrounded by spectacular cliffs bordered by dense vegetation. Dominated by the ruins of an ancient watchtower, this small bay is located a short distance from a natural area. The marine habitat is perfectly preserved and its waters, usually very calm, appear transparent so as to observe a myriad of fish even performing a simple dip. Along with pristine landscapes that are lost in the Asturias beaches, some of these, such as Playa de Barayo or Playa de Cadavedo, a disarming beauty, the North of Spain presents a region rich in unexplored coasts and still little known: Galicia. 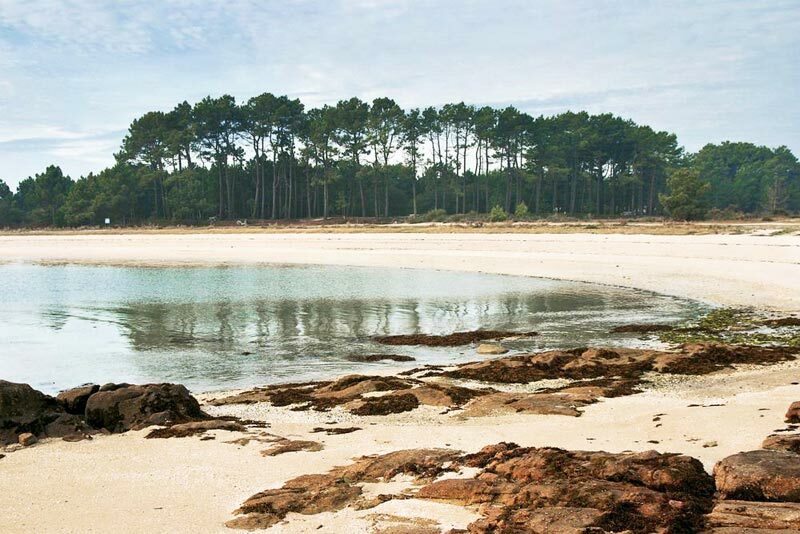 Its coastline, lapped by the blue waters of the Atlantic Ocean, offer scenarios often wild and unspoiled as, for example, the magnificent cliffs of Playa de Las Catredales, a few kilometers from Ribadeo, or the Praia de Xastelas Beach on Arousa. 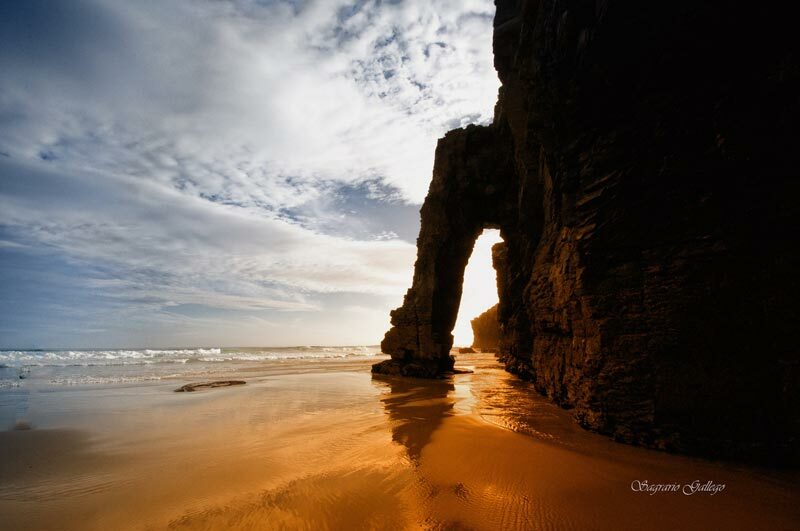 It is located to the southwest from the town of Ribadeo and owes its name to the unusual rock formations on its coastline forming natural arches that can be crossed on foot at low tide and which resemble the arches of the Gothic cathedrals. It is one of the most popular tourist spots in the region, has services and offers the possibility to make a magnificent walk along a path that overlooks the beach and the cliffs. Just under 800 meters long, this pristine beach offers calm waters and sheltered ideal for families with small children. The island of Arousa, with its crystal waters and its wild beaches, is a must for all lovers of the sea from a naturalistic point of view. A long bridge built in 1985 connects its coast to the mainland, making it one of the most visited destinations in the region. The beaches of the Balearics are one of the most popular seaside destinations for several years. The charm of the many beaches and natural landscapes is added the irrepressible presence of night life, undoubtedly making various localities of the island very interesting from the tourist point of view. There is no doubt that the beaches of Mallorca, the Caribbean Sea of Formentera, Ibiza’s social life and Menorca unspoiled nature undoubtedly arouse much interest. 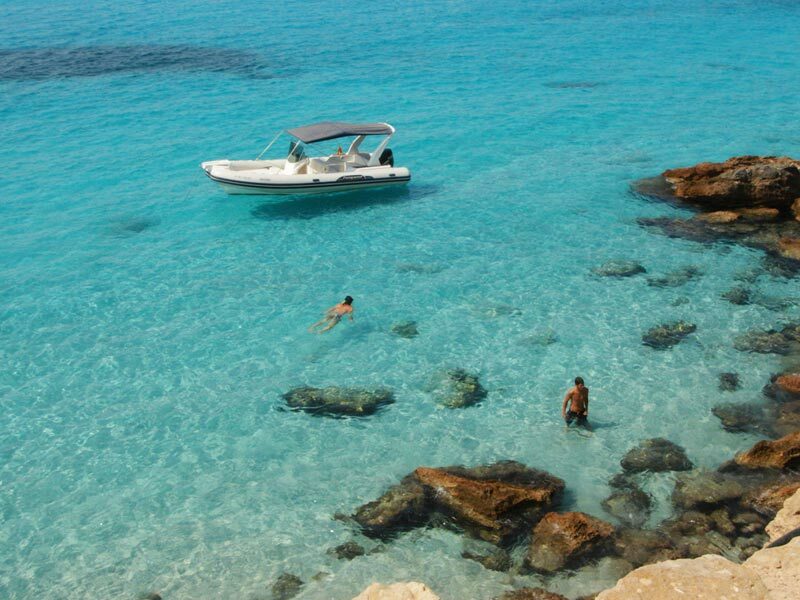 Among the most beautiful beaches we find, for example, Es Trenc in Mallorca and Cala Saona in Formentera. The so-called “Caribbean Majorcan” stretch for about four kilometers south of the island in the territory of Colonia Sant Jordi. The Es Trenc beach, reachable by bus, presents the quiet sea and golden sand. On its coastline is also the island’s only hot springs that, with its properties, offers a viable alternative to regenerating tourists visiting the beach. Located in the western part of the island, Cala Saona is located a few kilometers from Sant Francesc Xavier. 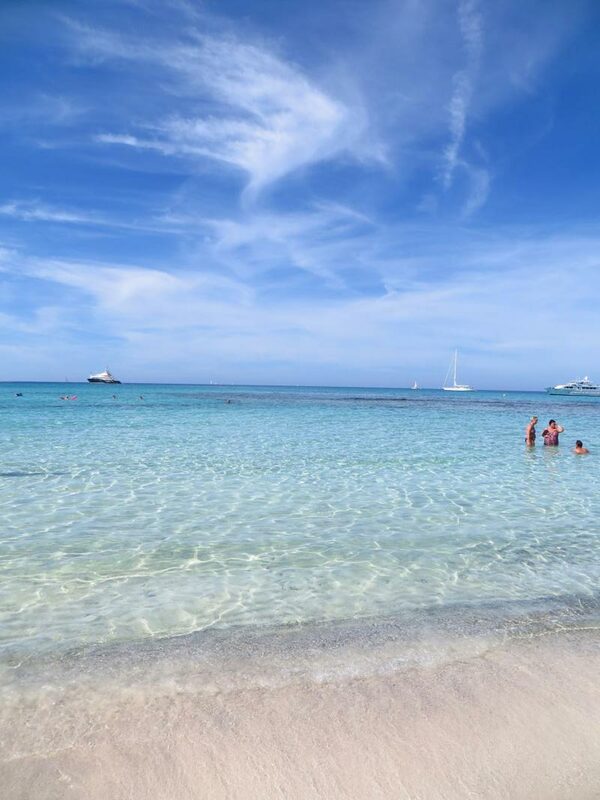 Despite its small size, it can be counted among the most beautiful beaches of Formentera, with its fine sand and the natural environment that surrounds it. The special red rocks of the cliffs contrasted greatly with the intense blue of the sea, creating a true spectacle of color. The Canary Islands are located in the Atlantic Ocean and are divided into two provinces: Las Palmas, which includes the islands of Fuerteventura, Lanzarote and Gran Canaria and Santa Cruz de Tenerife, instead, includes Tenerife, La Palma, La Gomera and El Hierro. 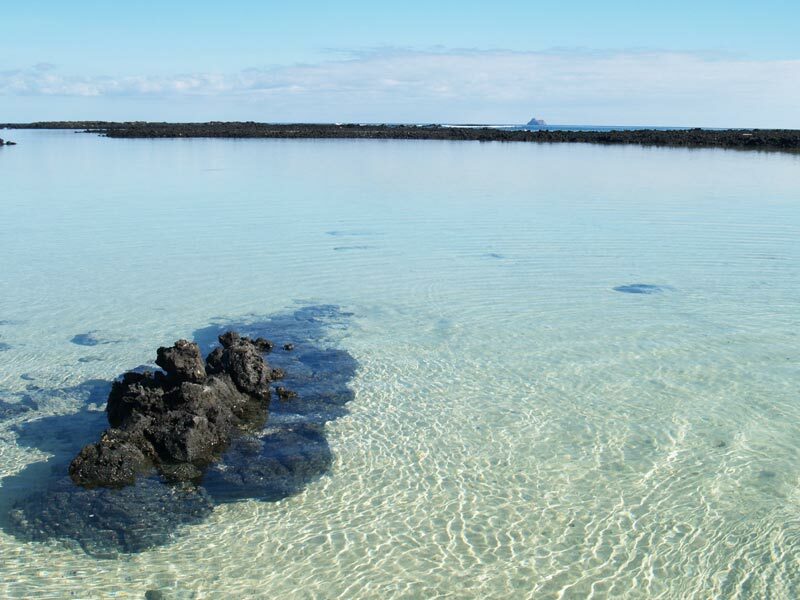 This beautiful archipelago presents beaches of different types: sand spits a lot busier as the nicest sandy island of Tenerife, kilometric urban beaches like Las Canteras in Las Palmas de Gran Canaria or small hidden bays such as Playa del Caleton Blanco in Orzola, island Lanzarote. 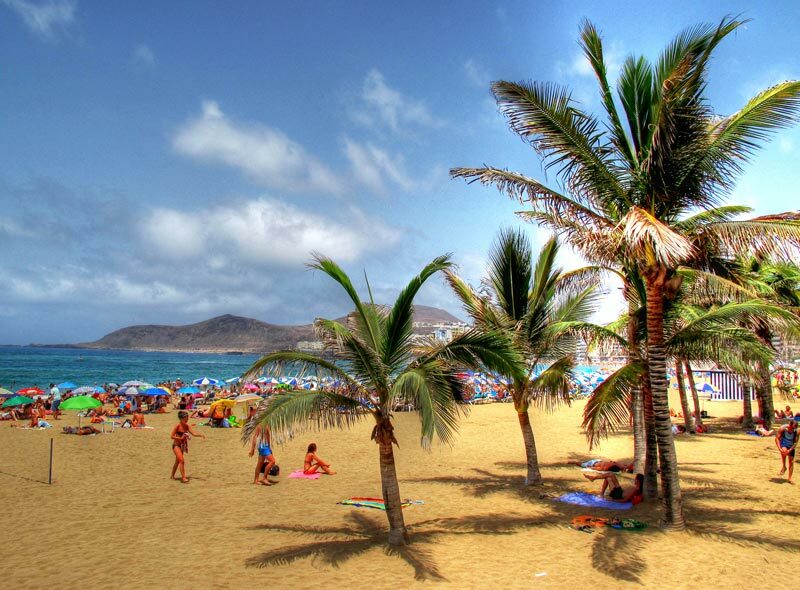 The treasure that hides the island of Gran Canaria is definitely the Las Canteras beach in Las Palmas. In addition to being the place where you can do sports during all year, also it has the privilege of welcoming a multitude of fish among its depths. Not far from the beach is a long rock formation, called by the locals “la Barra”, which protects the beach from the frequent tides. 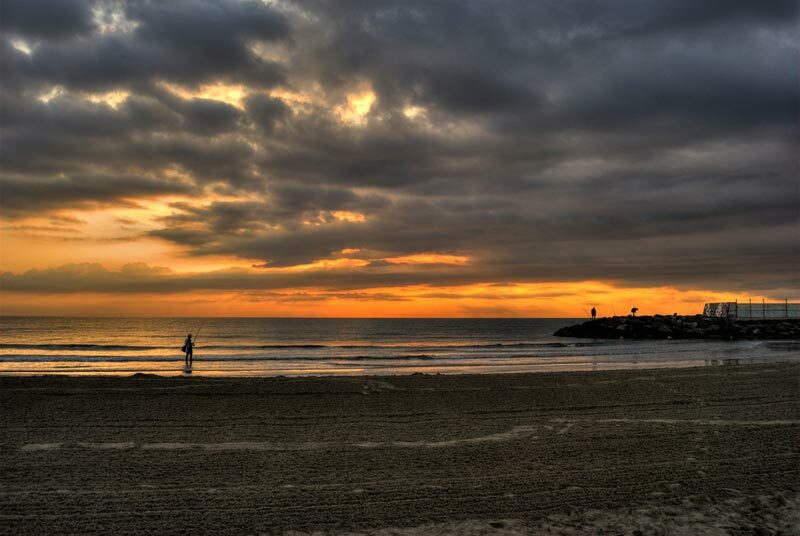 Playa del Caleton Blanco is the set of a series of small beaches composed of very fine sand. It is a very busy beach, as well as by tourists also by fishermen and locals, thanks to small natural barriers, composed of polished stones, which placed upwind allow bathers to enjoy the sea and sun shading from surrounding currents. To conclude, we can say that Spain is definitely able to offer, through its beautiful coastline and its famous islands, a varied tourist offer that allows you to make an unforgettable holiday of relaxation, but also fun. So now we just need to plan your journey and live this new experience.